You know you are stepping into a Heart of Green right from the time you see this house tucked away in a quite lane off the busy Jubilee Hills Road #36. The first time that I went to The Autumn Leaf, I wasn’t really taken up with it. My first impression of this Cafe + Decor Studio was ‘wannabe arty-farty’. Add to that, service that could only be termed as daft. It was like a concept had been lifted straight out of the garden city of Bangalore – for the only thing striking about it, was the house and the garden that it was build around and how perfectly they had been brought together – but had fallen flat on its face in terms of transporting the “coolness” of such a cafe. 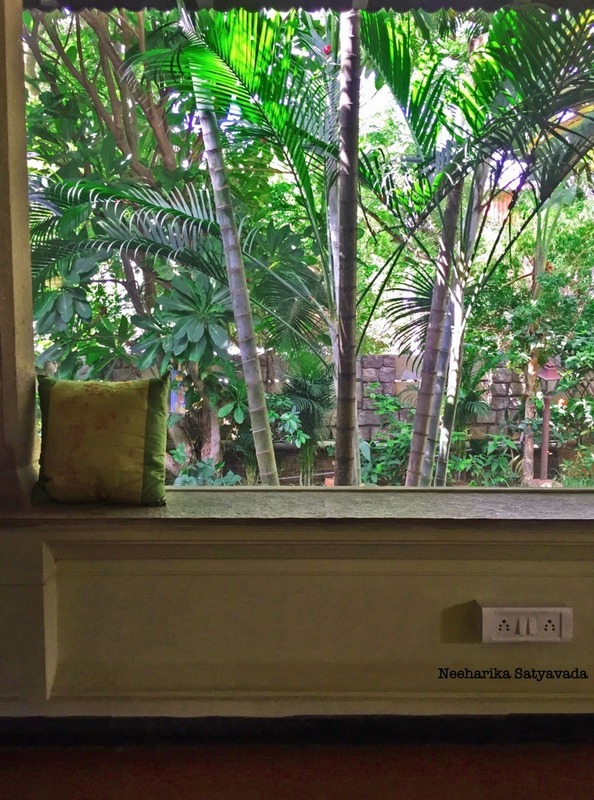 But, inspite of all that I found myself giving in to the temptation of sitting under a tree on a late – after rain – afternoon, slowly sipping on a Bombay Cutting Chai while taking in all the green. Psst..and if you have been on the look out for some inspiration to recreate a little leafy corner of your own, check this out..https://www.homify.in/rooms/garden. From the first time to now, over the last month, The Autumn Leaf Cafe has come a long way. Maybe it was just me finding some beautiful solid wood furniture or the round little terracotta Buddha for the garden in their Studio or maybe it was just that from eating waffles plain & rueing my Nutella bottle to coming to actually finding Hummus & Tabbouleh in the Cafe, that was almost there! Whatever be the reason, this Studio + Cafe has surely come around to becoming a definite stop to shop for quirky knick knacks for the home or for a quick bite from their all day breakfast menu, along the way. & well from all the green to the tiles of the roof, this charming cafe seems to have grown in its appeal not just with me, for on any given day now, you have no choice but to wait for a table!